Something a little different from me today. Towards the end of last year, the writer and critic Jonathan Gibbs very kindly invited me to contribute to his ongoing literary project, A Personal Anthology. 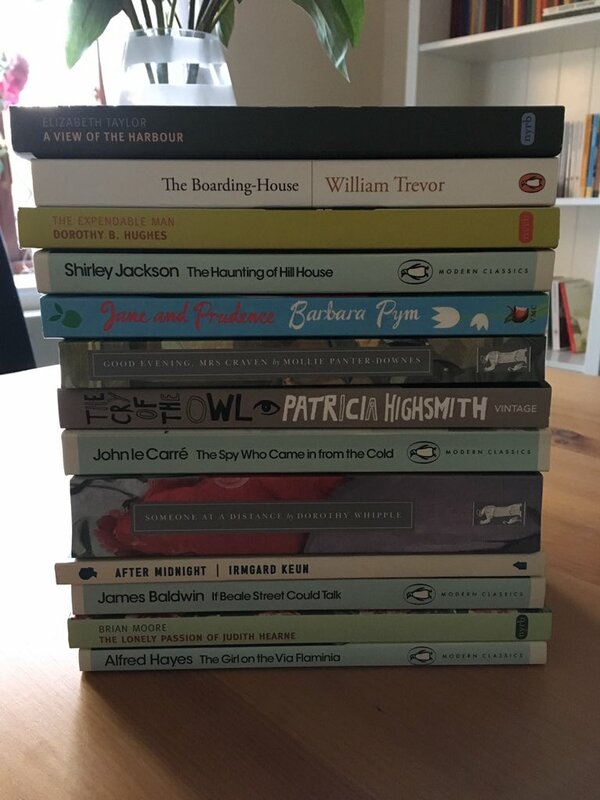 In essence, each of Jonathan’s guest editors is asked to curate a selection of twelve short stories they wish to share with other readers. The stories can be personal favourites or linked to a particular theme; it’s down to each curator to decide. The idea is to bring interesting stories and writers to a broader audience, and to discover which authors have most influenced some of today’s writers and critics. A Personal Anthology by JacquiWine. If you like what you see, please do consider subscribing to the anthologies – you can sign up to receive the weekly TinyLetters here. All the short story selections are archived and available to view at this website: A Personal Anthology. Should you wish, you can view the various choices by the guest curators or the featured writers. So that’s it from me. I hope you find something of interest in my selection of stories and the broader project in general. Enjoy! This entry was posted in Book Reviews and tagged Anthony Trollope, Anton Chekhov, Book Review, Christopher Isherwood, Elizabeth Taylor, James Salter, Jean Rhys, Maeve Brennan, Mollie Panter-Downes, Personal, Read Women, Richard Yates, Saki, Short Stories, Silvina Ocampo, Teffi on January 11, 2019 by JacquiWine. Mollie Panter-Downes was The New Yorker’s England correspondent for the duration of the Second World War and well beyond. During the war years, she produced a significant output for the journal, comprising a series of fortnightly ‘Letters from London’ and twenty-one short stories (roughly one every three months). Luckily for us, these insightful stories have been collected together in this beautiful edition from Persephone Books, initially issued in 1999. In essence, these are stories of ordinary British people – mostly women – trying to cope with the day-to-day realities of life on the Home Front. While the war alters the lives of all the characters we encounter here, the battleground itself is elsewhere – off-camera so to speak. Instead, we see women trying to accommodate evacuees from the city, making pyjamas for soldiers overseas, or doing their best to maintain some degree of normality around the home in the face of constrained resources. Panter-Downes’ style – understated, perceptive and minutely observed – makes for a subtly powerful effect. She is particularly adept at capturing the range of emotions experienced by her characters, from loneliness and longing to fear and self-pity. In This Flower, Safety (1940), Miss Ewing, a wealthy lady from London, tries to escape the horrors of war by fleeing to a seaside town only to discover that even the most sedate of places can feel somewhat exposed. In her heart of hearts, Miss Ewing knows that her life will never be the same again. Two or three of the stories touch upon one of the major consequences of war for those left behind – the need for families to accommodate distant relations, friends or evacuees in an effort to do their bit. Somewhat unsurprisingly, this often leads to tensions as individuals from different classes or social spheres try to get on with one another while living under the same roof. In other instances, it is merely a clash of personalities and personal habits. In one of my favourite stories from the collection, Mrs. Ramsay’s War (1940), the titular character is finding her house guests – the ebullient Mrs Parmenter and her two Pekingese dogs – rather difficult to bear. It’s a beautifully observed story, one that also demonstrates the author’s talent for dry humour and wit. Combined Operations (1942) explores a similar theme as a young couple, whose London flat has been destroyed in a raid, outstay their welcome when they ‘visit’ friends in the country. Other stories of evacuees, most notably, In Clover (1940), expose the snobbery and prejudices of the upper-middle classes. In this piece, the refined Mrs Fletcher is repulsed by the physical appearance of the Clark family, the dishevelled evacuees she is to accommodate in her pristine home. Right from the start, it is patently obvious that Mrs Fletcher and Mrs Clark have very little in common. Unfortunately for Mrs Fletcher, her belief that money can solve almost every difficulty one encounters in life proves to be somewhat misguided. There is a strong sense of loneliness running through many of these stories, augmented by feelings of isolation, inadequacy and loss. Panter-Downes is perhaps at her best when she mines this territory by delving more deeply into her characters’ emotions. In Goodbye, My Love (1941), one of the best stories in the collection, a young woman must face the agonising countdown to her husband’s departure for war, the clock in the flat a constant reminder of their rapidly diminishing time together. This excellent story comes with a sting in its tail. Just as the woman is coming to terms with the absence of her husband, something unexpected happens – and what should be a happy occasion is instead tinged with anxiety. It’s the Reaction (1943) is in a similar vein to the previous piece. In this, my favourite story in the collection, a lonely young woman is buoyed by the camaraderie of war when she finally gets to know her neighbours as they take shelter together during the Blitz. However, once the sequence of air raids is over, life in Miss Birch’s apartment block reverts to normal – and when she tries to rekindle the new friendships, Miss Birch soon discovers the fickle nature of relationships, even in times of war. Other stories touch on the sense of absence or loss that can characterise a country at war. I loved this line from Fin de Siècle (1943) in which a young couple reflect on their friends’ house – now standing empty and forsaken following the occupants’ departure. The advent of social change which accompanied the war is another prominent theme, particularly in the later pieces. In Cut Down the Trees (1943), Mrs Walsingham, a member of the English gentry, opens her home to accommodate forty Canadian soldiers in support of the war effort. Interestingly though, it is not Mrs Walsingham who struggles to get to grips with a different way of life, but her elderly maid, Dossie – a woman who remains very fearful of change. In essence, Dossie bemoans the loss of the old guard, the disappearance of the caps and aprons who served the house and maintained order. This new practice of her mistress taking dinner in the kitchen will come to no good; the passing of old traditions and customs is something to regret rather than embrace. In Year of Decision (1944), an upper-middle-class couple try hard to preserve their old rituals however pointless they seem to be. The wife in particular struggles to keep on top of the house, a situation that leaves her feeling both frazzled and exhausted. The husband, on the other hand, longs for the action and excitement of war – instead, he finds himself confined to a Government office on account of his specialist knowledge, a valuable commodity in a time of crisis. In a sense, some aspects of this story feel like a bit of a rehearsal for One Fine Day, Panter-Downes’ wonderful novel about a couple adjusting to a new way of life following the end of the Second World War. Oher stories in this fine collection feature a young woman facing up to pregnancy and the prospect of motherhood in the absence of her husband, a mistress who realises that she may never discover if her married lover is injured or killed in action, and the various members of a sewing circle as they gossip and bicker about all manner of subjects. All in all, these are beautifully observed vignettes, shot through with humour, understanding, insight and humanity. Recommended for readers interested in the British way of life in the 1940s. 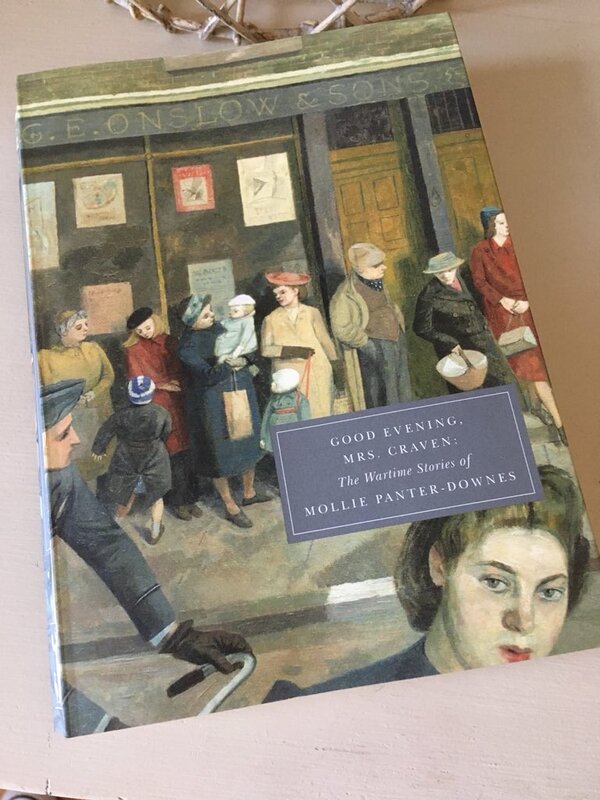 Good Evening, Mrs Craven is published by Persephone Books, personal copy. This entry was posted in Book Reviews, Panter-Downes Mollie and tagged #ReadWomen, Book Review, Classics Club, Fiction, Mollie Panter-Downes, Persephone Books, Short Stories, UK, WW2 on July 31, 2018 by JacquiWine. In this beautifully written novel, we follow a day in the life of the Marshalls, an upper-middle-class family struggling to find a new way to live in an England irrevocably altered by the Second World War. While Britain has emerged victorious from the conflict, life in the country has not returned to ‘normal’, to the way things were before – and for many people, it never will. Set on a blisteringly hot day in the summer of 1946, the novel captures a moment of great social change as thousands of families find themselves having to adapt to significant shifts in circumstances. For some inhabitants of Wealding, a picturesque village in the home counties, the war has opened up fresh opportunities and pastures new; but for others like Laura Marshall and her husband Stephen, it has led to a marked decline in living standards compared to the glory days of the late 1930s. Laura – sensitive, wistful, bohemian – is trying to maintain some semblance of domestic harmony around the house now that the family’s servants are now longer there to maintain order, the invisible ‘caps and aprons’ who worked the strings of their world so perfectly. The cook and nanny are long gone; the maids who left to help with the war effort will not be returning, lured away by the chance to work in a local factory with all the benefits this new environment has to offer. While Laura tries her best, she is a hopeless cook, forever pulling something unidentifiable out the oven, or leaving the milk to boil over, her thoughts often elsewhere. There is skeleton help in the form of Mrs Prout, a local charwoman who comes to the Marshalls’ a few mornings a week to ‘circulate the dust a little’. Mrs Prout likes Laura even though she considers her a daydreamer, prone to contemplation and reflection while the house slowly crumbles around her feet. A keen observer of people, Panter-Downes has a wonderful knack for capturing a character in just a few sentences, as evidenced by this brief portrait of Mrs Prout. By contrast to Laura, Stephen is more troubled and dismayed by the loss of their servants, particularly the trusty gardener, Chandler – killed on the battlefields of Holland – who once tended their roses with such care and affection. Now there is only Voller from the village, a slow, plodding presence in the garden for one or two evenings a week, a man too old and weary to cope with any heavy work. As a consequence, the garden is hopelessly overgrown, the house tired and dilapidated, no longer filled with the gaiety and chatter of days gone by. Stephen longs for times past when everything ran efficiently, the house spick and span, the garden beautifully tended, their young daughter Victoria delivered to them fresh and clean in her towelling bath robe, cared for largely by the family’s nanny. Those days are but a dim and distant memory in the mind. Recently returned from the war, Stephen travels to London for work each day, while his evenings are spent battling with the weeds in the garden. On top of the worries with the house, he is a little dismayed to find Laura looking middle-aged at thirty-eight, her hair grey, her face tired and weary. The couple’s ten-year-old daughter, Victoria, is a bit of a mystery to Stephen too, vastly changed from the inconspicuous child he left behind for the battlefield. Laura too feels a little uncertain about her ability to adapt to this new life. She realises that her looks have faded, that others may see her as an ‘old sofa,’ worn but comfortable. Every now and again, Laura’s thoughts return to her mother, Mrs Herriot, a formidable woman who lives in Cornwall with Laura’s rather conservative father. Life for the Herriots has remained largely unchanged by the war. The new ideas have yet to catch on in St. Pol, the Herriot household still full of young girls willing to bow to the family’s every need. By contrast, Mrs Herriot bemoans the fact that Laura should be reduced to cooking, cleaning and looking after Victoria, unable to understand why the Marshalls’ servants have not returned to the fold. Moreover, she blames Stephen – whom she has never liked – for this sorry state of affairs, for not taking care of her daughter properly. As far as Mrs Herriot is concerned, Laura should have married her old flame, Philip Drayton, now a successful politician living comfortably in Westminster with his wonderful wife, Cicely, their old family cook and parlourmaid still firmly in position. While Panter-Downes slips seamlessly between the minds of several of the characters, her main focus is always Laura; it is Laura’s thoughts that drive the narrative forward as we go through the day. By focusing on this one woman and her domestic situation, the author builds up a insightful picture of the inhabitants of a broader community, their lives touched and altered by the war in various ways. We follow Laura during her regular trip to the local town in an effort to buy food for the family’s dinner. Supplies are scarce, almost more so than during the war itself, as illustrated by this scene at Mr Kellett’s, Bridbury’s fishmonger. Later, Laura calls in on a local family, the Porters, to ask if their son, George, would be interested in helping with the garden; but the young man in question has been offered a job at a garage in Coventry, lured away from the village by the promise of money and a livelier social life. We meet the Cranmers, a formerly grand family who have just sold the bulk of their vast estate as they can no longer afford to maintain it – the remaining members are to live more modestly in the stable wing. There is a fleeting visit to a shop where Laura encounters a young war widow – referred to here as Mrs Jim – a beautiful woman who, much to Laura’s dismay, seems all set to marry the stuffy and pernickety Stanley Rudge. As far as Laura is concerned, Mrs Jim could do so much better for herself, someone young and handsome like George Porter, for example. But Mr Rudge has prospects, he is a builder/property developer; and unlike Laura, whose husband returned from the war safe and sound, Mrs Jim cannot afford to be choosy, not since young Jim was declared lost at sea. There are other encounters too, all of which come together to paint a vivid picture of a nation, a country trying to come to terms with new ways of life and the accompanying changes to its social fabric. Panter-Downes draws an astute contrast between the inner turmoil of Laura’s and Stephen’s thoughts and the peaceful nature of the idyllic landscape which surrounds them. Threaded through the novel are beautiful descriptions of the countryside on a hot summer’s day. The sunny is bright, the flowers and crops are flourishing in the fields. England is at peace, the land has survived in all its glory and is set to endure long into the future. While this subtle novel is imbued with a strong sense of loss, of what has passed and will never return, the story finishes on an optimistic note. At the end of the afternoon, Laura climbs to the top of the local hill at Barrow Down. Enthused by the glorious views from the summit, she vows to reintroduce into her marriage some of the fun and intimacy that has been lacking lately. Stephen too seems ready to embrace a new beginning as he suddenly realises how preposterous it was to have become so dependent on servants for everything in the days before the war. While the couple’s future is left open to the reader’s imagination, the tone is undoubtedly hopeful; a fitting close for this lovely novel, sketched and coloured in an evocative, impressionistic style. 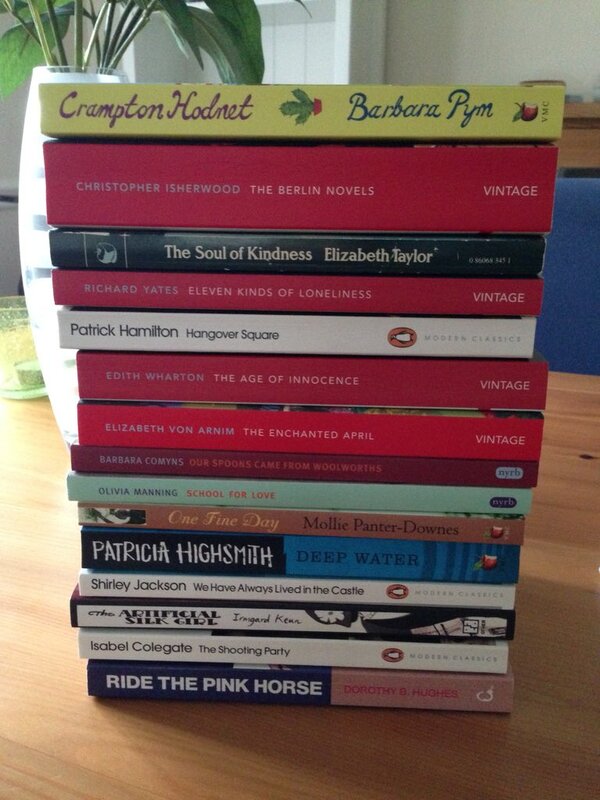 One Fine Day is published by Virago Press; personal copy. 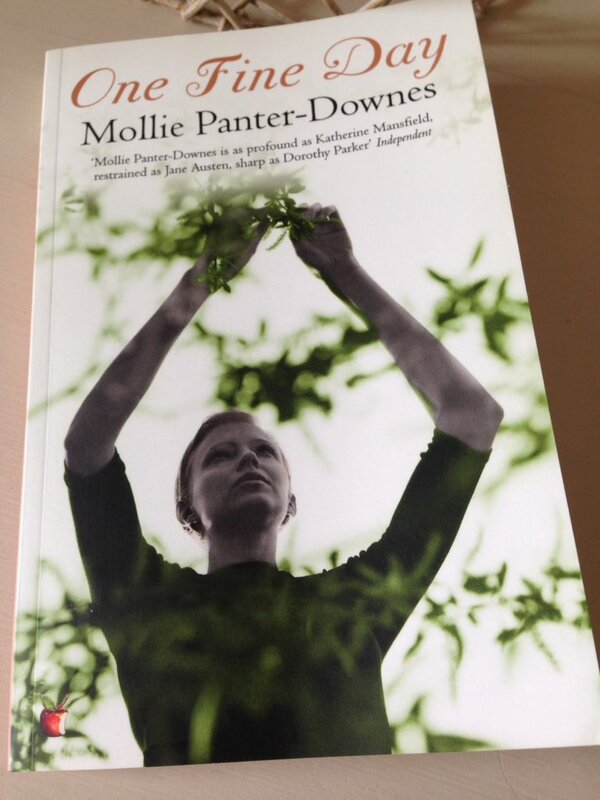 This entry was posted in Book Reviews, Panter-Downes Mollie and tagged #ReadWomen, Book Review, Classics Club, Fiction, Mollie Panter-Downes, UK, Virago on June 27, 2017 by JacquiWine.